Sight & Sound Theatres, producer of a series of live, Bible-themed stage shows, has adopted Riedel Communications’ Bolero wireless intercom for its 2,000-seat auditorium in Branson, Missouri. Bolero leverages an existing Riedel Artist digital matrix intercom system to deliver comprehensive and integrated communications for the entire production team. After evaluating several wireless intercom systems, Sight & Sound Theatres chose Bolero to provide wireless two-way communications for all backstage crew at the Branson auditorium. In addition to now having six full-duplex channels, crew can use Bolero’s seamless handover to effortlessly move throughout the 330,000 square-foot facility without worry of dropouts. Sight & Sound Theatres has adopted Riedel Communications’ Bolero wireless intercom for its 2,000-seat auditorium in Branson, Missouri. A total of 56 beltpacks covers an equipment room, a large area under the stage, the catwalks, the animal holding area, and the dressing rooms. One particular requirement mandated that 50 beltpacks be able to operate simultaneously on the stage. With the ability to handle up to 10 beltpacks per antenna, Bolero was up to the task. 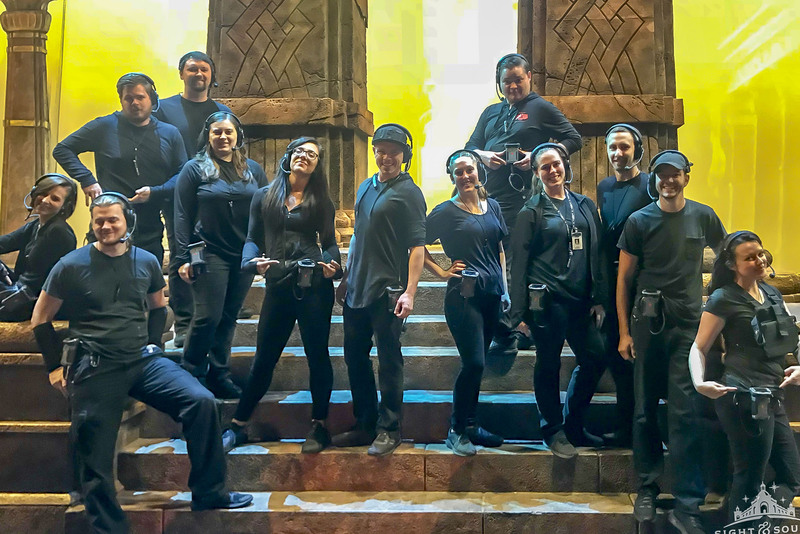 Bolero also provides the flexibility for the Sight & Sound Theatres crew to manage beltpacks remotely and change settings on the fly, even during a live show. With the addition of a stage lift next year, the addition of just one more antenna will provide coverage for the entire basement area.